Banquets up to 16 people take place in our brasserie. 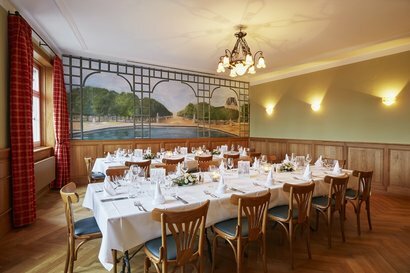 For bigger parties (up to 28 persons), we offer our banquet room « petit violon » on the first floor. The small hall is charmingly decorated in the style of the Brasserie. 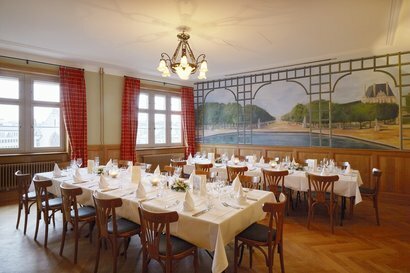 With the newly installed mural, you can not only enjoy the unique view over the old town of Basel, but also gaze across the garden of the Louvre, the Jardin des Tuileries, Paris. In the summer months, weather permitting, all the banquets are held on our garden terrace. 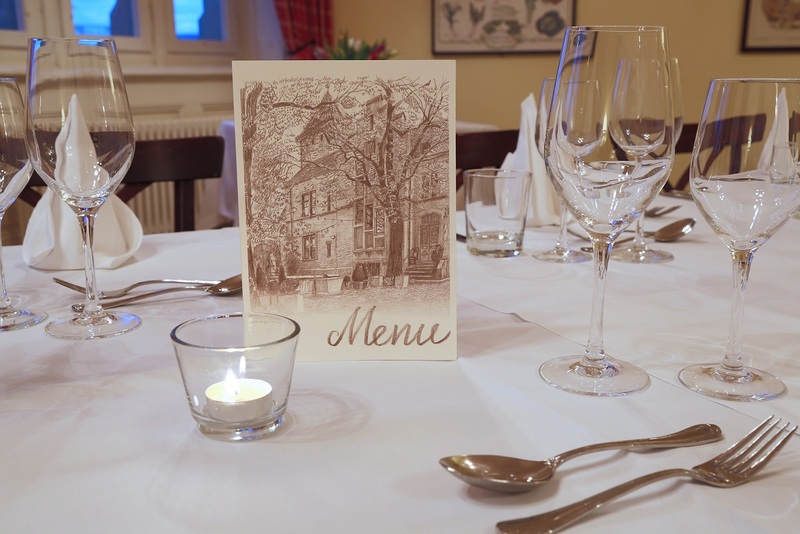 From our seasonally varying menu, proposals can be put together to form a uniform, individual menu. For special request, we will be happy to advise you. We look forward to your reservation request by e-mail or telephone.